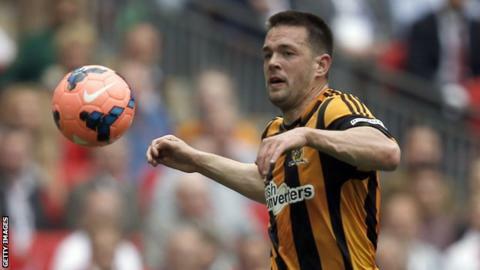 Former Walsall, Leicester City, Hull and Nottingham Forest striker Matty Fryatt has retired from playing because of a long-standing Achilles injury. The 31-year-old's last professional appearance came for Forest against Charlton in March 2015. Fryatt made his senior debut for Walsall in September 2003 and he moved to Leicester in 2006, scoring 51 goals in 168 league games for the Foxes. He joined Hull in 2011 and played in the 2014 FA Cup final against Arsenal. Fryatt first injured his Achilles during Forest's defeat at Birmingham in November 2014 and, after several unsuccessful operations, left the City Ground when his contract expired last summer. He was released having only started 17 games during his three years with the Championship club. Fryatt scored 116 goals in 364 league games across all four divisions in England over the course of his career, which also included loan spells at Carlisle United and Sheffield Wednesday. Is Barcelona-bound De Jong Europe's next big thing? Get latest scores and headlines sent straight to your phone, sign-up to our newsletter and learn where to find us on online. The latest rumours and stories from around the world of football. Analysis and opinion from our chief football writer. How to get into football - the most popular sport in the world, with clubs and facilities throughout the UK.